Before I begin, I want to take a moment and thank everyone who has taken time from their busy schedules to either rate or review either Los Nefilim (the omnibus or the novellas) and Where Oblivion Lives. I know your lives are just as busy as mine, so please know that I appreciate your time! Knowing what you love, or hate, helps me steer the series in the right direction. I won’t sacrifice the story I want to tell, but if there is some small way I can make the series more enjoyable to its fans, I like to do that. Which brings me to the Los Nefilim Snippets (see the sidebar). I haven’t been around much, but it’s mainly because I’ve got several things going on this year. I’m promoting one book, editing a second, and writing a third. It all tends to take up a bit of time. I wrote the first post in what I hope becomes a series for the fans of quiet moments in the novels: Los Nefilim Snippets. There are only two right now, but I’ll probably add one a week or every two weeks as time allows. They’re fun for me to write—more fun than coming up with blog post topics. 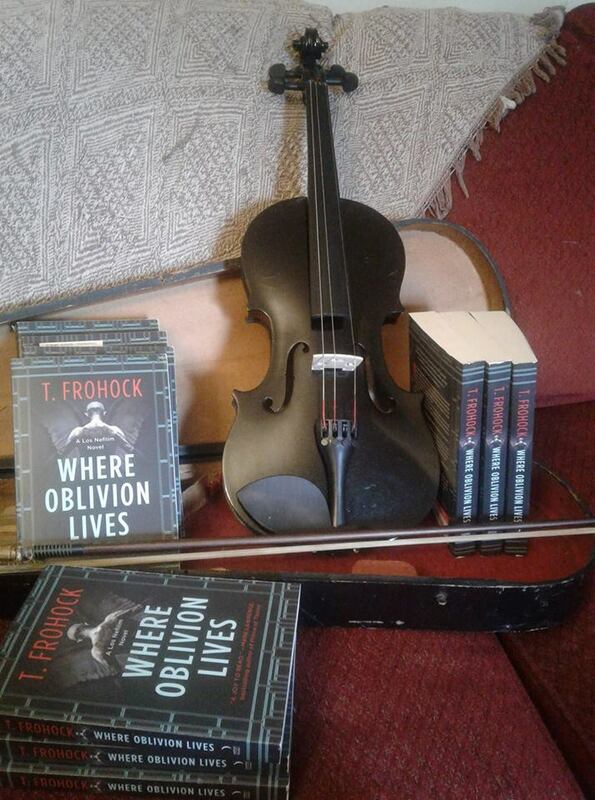 Author’s copies finally arrived for Where Oblivion Lives! That means I can now come up with some ideas for a contest to give away a few copies. So watch the blog, my newsletter, and my Twitter and Facebook feeds for those. I also discovered that I can leave annotations with Goodreads through my Kindle Notes and Highlights. There were about eight things I wish I’d had space to note within the text, so I compromised and waited for publication. You can go to Goodreads and read the annotations. The last two are spoilers and concern Rudi. I’d suggest you finish the book before reading those. I used spoiler tags so they’d be hidden and no one would accidentally stumble on them. The next book in the Los Nefilim world is called Carved from Stone and Dream. I’ve been busy locating photos that evoke the essence of that novel’s story for the cover art, as well as coming up with cover copy (blurbs, etc.) for it. Miquel stared back, projecting a calm he didn’t feel. This was another interrogation trick: mention a loved one and watch the source carefully for a twitch, or a tear, or a blink. Anything to indicate the jab hit a nerve. Miquel knew that if he showed the slightest interest in Diago’s welfare, Benito would use Miquel’s fear as a cudgel. Don’t blink. I’m also getting a great deal of glee every time someone signs off one of my social media accounts or a review with “Watch for me.” You guys are made of awesome. Hey, hey, it's release day for Where Oblivion Lives! 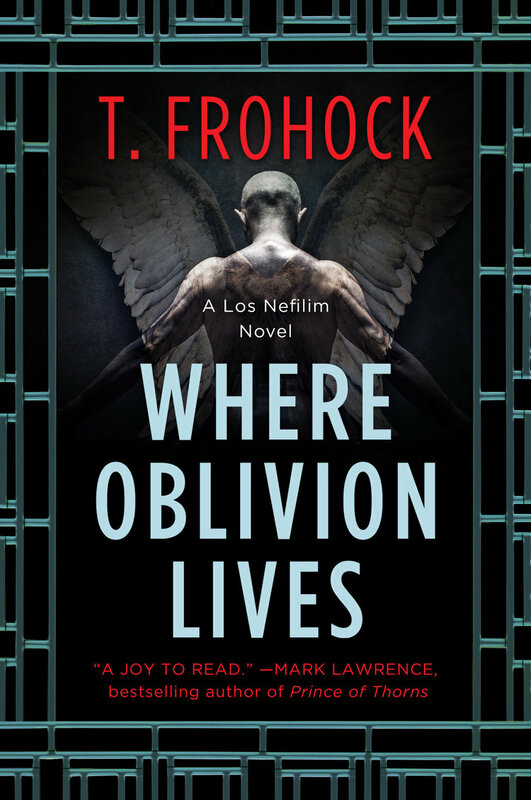 It’s finally release day for Where Oblivion Lives, and the book kicks off with an awesome review at RockStarLit Book Asylum! I’ve got an interview coming up on Thursday at the Fantasy Hive, where I’ll be talking about the novel, and I’ll be at MystiCon this weekend for a ton of excellent panels. You can find all my comings and goings at my Events page. The talented Vikas Adam narrates the audiobook, which is available from Audible.